We are delighted to announce that formal completion of our new development of 3 units on Lancaster Way in Buckshaw Village will be taking place within the next couple of weeks. Whilst the 3 occupiers for these units have now been selected, we will be leaving it down to each occupier to announce their arrival – and we expect they will do this within the coming weeks. We are confident that all 3 will prove to be hugely popular with the residents and visitors of Buckshaw Village. The formal completion of the development will also see the handing over of the brand new community centre to Chorley Council. Further information on the opening date and facilities on offer will be made available by the Council. We have had great success with this development, and are very keen to do further work on Buckshaw Village, so if you know of a site which could be of interest to us, then please do not hesitate to get in touch. Primrose Developments have just started their very latest development of 9 beautiful homes in Whittle-le-Woods. Kem Mill Executive has been sensitively designed by local architects using traditional materials combined with skilled craftsmanship. These homes are characteristic of this beautiful location. 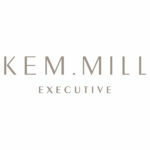 For more information, please follow the link below to be taken through to the Kem Mill Executive site.